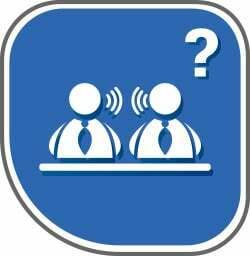 What are the Benefits of Remote CIED Monitoring? Whether one refers to the TRUST, CONNECT, REFORM, COMPAS trials or others—all of which were referenced by an expert consensus presented at the Heart Rhythm Society (HRS) 2015 Scientific Sessions—the cumulative data have produced undeniable confirmation that RM is not merely a safe alternative to conventional in-person monitoring but is, in fact, superior for achieving the follow-up goals of patient adherence—so much so that HRS now recommends that remote monitoring serve as “the new standard of care” for CIED patients. Of course, knowing the benefits of RM and getting the actual infrastructure and workflow in place are clearly different matters. Of the frequently identified barriers to RM, it’s the question of infrastructure and staffing that typically give practitioners the greatest pause. Organizational Change. Instituting a system that supports near-constant and routine monitoring requires multiple alterations to the established workflow. In order to effectively manage all the incoming data of interrogations and monitoring, a practice must find and employ appropriately skilled staff dedicated to the work; often this limitation alone is what muddies the effectiveness of RM efforts. Practitioners whose backgrounds are dedicated exclusively to remote CIED monitoring may not be available, meaning that monitoring quality may not be ideal. This may result in demands that staff work extra duties or conduct work that strays from their primary areas of competence. Finally, even when monitoring personnel levels are felt to be appropriate and sufficient, it's often because monitoring activities are not handled 24/7/365 since doing otherwise would be too much of a drain on resources. Data Limitations. Because most clinics provide care for CIED patients from a variety of manufacturers, the format of CIED data varies from vendor to vendor, as does the means through which the data is acquired. This inconsistency of format and access can make synthesizing the data, reporting on it and/or transferring it to an electronic health record (EHR) cumbersome and time-consuming. In both situations, practioners end up being overwhelmed and patients can end up underserved. ScottCare's 24/7/365 contractual monitoring labor service ("Ambucor") partners with hospitals and physician practices to complement the organizations’ existing services with a comprehensive yet simplified solution to managing and enhancing remote CIED device checks. Our team comprises multiple levels of skilled cardiac allied health professionals who are focused on patient care, leading the industry for remote interrogation compliance rates. The service allows your clinic to regain control over the patient experience without an increased burden on staff; retain full access to raw patient data and reports from any internet-connected location; and retain eligibility for global reimbursement. Integrated data exchange with your EHR via just one HL7 interface is also available. In 2014, ScottCare's Ambucor customers averaged an 85% remote interrogation compliance rate for actively monitored pacemaker and ICD patients. Equally notable, nearly 80% of all Ambucor patients were actively monitored (interrogated at least once during the year). In contrast, the industry-average interrogation compliance rate is 65% percent for actively monitored patients, with fewer than half of all patients being actively monitored. 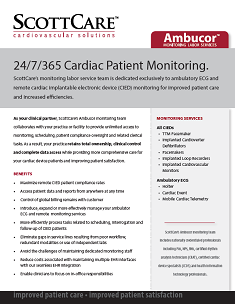 Ambucor's team of HRS-competent allied professionals is available 24/7/365 to provide all remote CIED monitoring as well as ambulatory ECG monitoring (Holter, mobile cardiac telemetry (MCT), arrhythmia event and ambulatory blood pressure), enabling one stop access for all cardiac device monitoring needs. Customers draw up a unique mutually-agreed upon contract with ScottCare's service, paying only for the services used. Ambucor personnel function as employees of the practice or hospital and are governed by practice/physician policies and protocols. Timelines for required services and expected turn-around times are spelled out as well. The contractual process aligns well with the recommendation by HRS that practices institute specific policies to govern RM program operations as well as the roles and responsibilities of those involved. Ambucor works with your team to assess the ideal services and related workflow to support your staff in providing optimal CIED patient care. All monitoring data and reports for all device manufacturers are accessible at any time to the ordering physicians because the data resides on a server owned by the practice. The use of ScottCare’s innovative OneView CRM software by the monitoring team helps clinics significantly reduce their RM burden because it manages the capture, display and reporting of both remote and in-clinic CIED device interrogations from Biotronik, Boston Scientific, Medtronic, Sorin Group and St. Jude Medical patients. OneView seamlessly imports all discrete data and vendor-created reports from device implant through elective replacement and simplifies the review and reporting process by utilizing a common workflow for all device manufacturers. 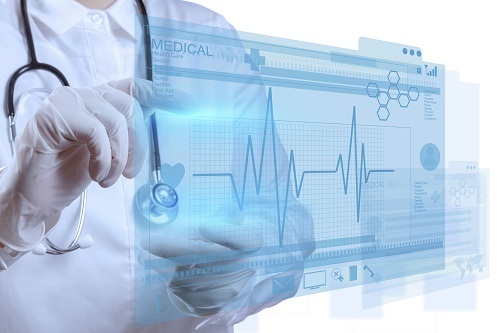 The physician can review the data from any network-connected computer at any time. Ambucor personnel facilitate the delivery of information gleaned from the data to the practice’s EHR. This results in timely access to clinically valuable information, which positively impacts patient treatment and improves clinical outcomes. When using ScottCare's unique form of remote monitoring labor, physicians can bill globally because all related hardware and software are the property of the practice and the Ambucor personnel are contracted labor. Ambucor is a Level III Data Center with an uptime of >99%. The system offers 24/7 access to software and data through a secure, HIPAA-compliant network connection and provides data backup and redundancy for disaster recovery, ensuring the integrity of customer data and access to it. ScottCare's team of cardiac monitoring professionals enable providers to consistently and more easily monitor a greater number of cardiac device patients, allowing the many benefits of remote monitoring to be fully realized for the practice and patients. To learn more about ScottCare's Ambucor monitoring services, download a detailed brochure or contact us for more information.